Makes my day when girls take the time to write their own post – thanks Chloe & thanks to her mom for encouraging her to be her best self. I am 8 and a half and I have been skateboarding for a bit over 6 months. I live in Auckland, New Zealand. My favourite skatepark is in Devenport but I skate at Victoria Park almost every weekend. It is really hard to put into words why I like skateboarding so much! I love it because even though you fall over sometimes it is still fun. It makes me a bit sad that there are not many girls who skateboard, but it makes me happy and I try to encourage other girls who skate. 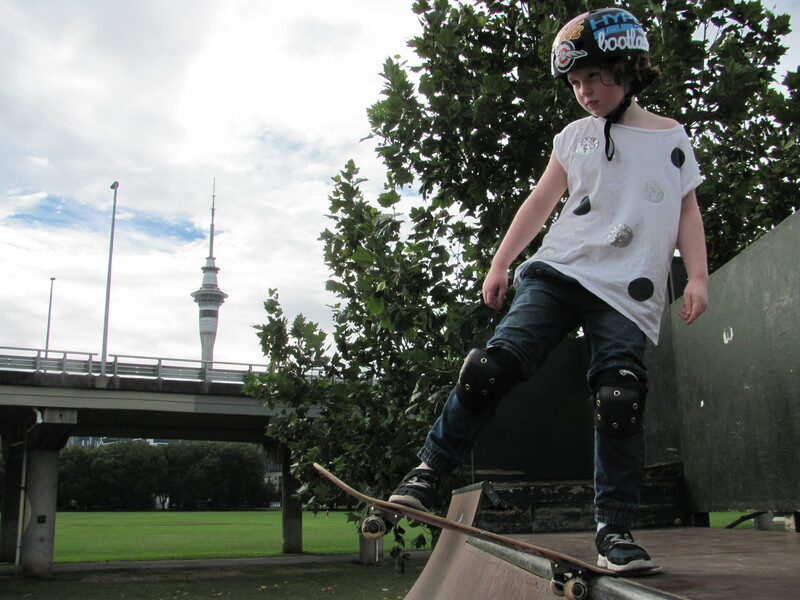 Thanks Chloe for taking the time to share & as more girls do there will be more girl skateboarders. And that tower – magnificent. One of the best things about being the skatingfashionista is learning about rad places. Skate parks with views are so stylish! I’ve known Justyce Tabor for a couple of years now and she’s always impressed me with both her skateboarding skills and attitude. They say attitude is everything – I’ve even heard attitude is the difference between an ordeal and an adventure – Bob Bitchin. I believe it. I skateboard for fun and you can tell who else does because the entire vibe is positive. Justyce lives a life of adventure! I’m so happy to congratulate her on her own Silly Girl pro model deck! 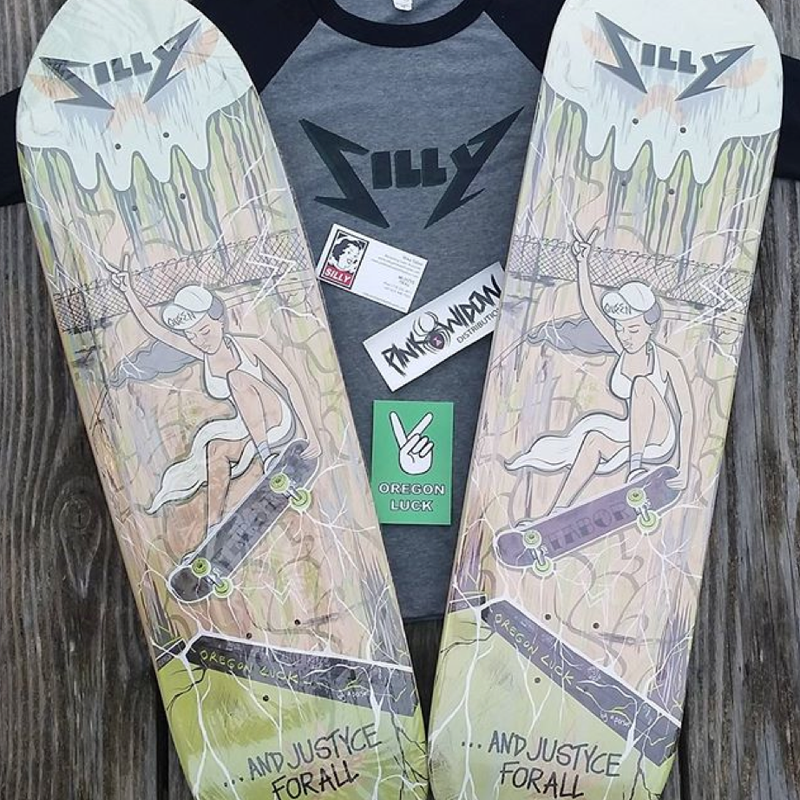 If your skate shop doesn’t carry Silly Girl – ask them why but first go order the deck from Pink Widow Distribution. Want to win this autographed Justyce Tabor deck? To win, follow skatingfashionista on IG & add me in Snapchat sk8fashionista – winner to be announced this week. 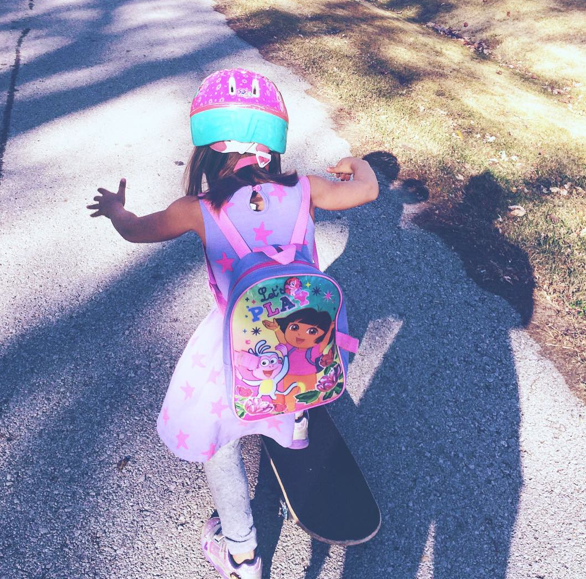 You don’t have to be a girl to support and inspire girls to skate!